Handy Mini size, High Capacity, Nonstop shooting, Great Fun! - The extended hopper acts like the extended magazine. 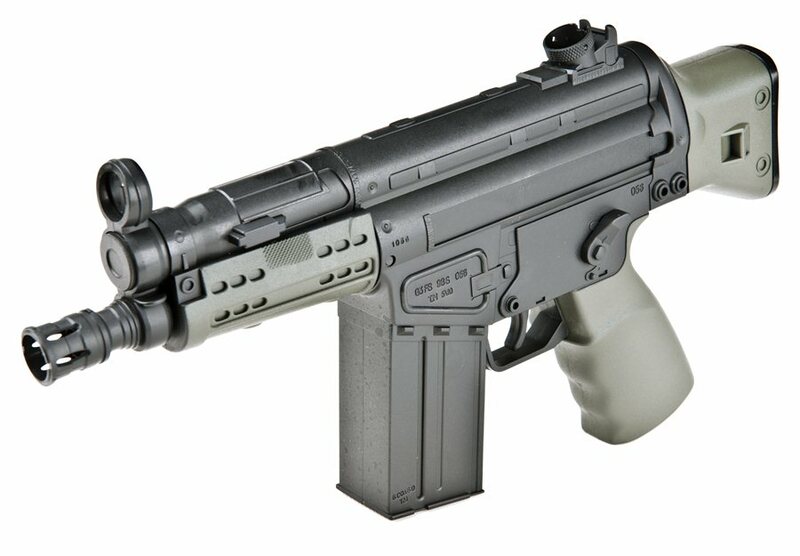 Capacity up to 200 rounds. - 4 pcs of AA Alkaline battery box housed inside of the grip (Battery not included in package). Copyright © 2001 - 2011 UHC All Rights Reserved.